I took the family down to Grand Cayman just before the holidays for some kiting, diving and general hanging around on island time. The following describes a visit to The Kitehouse in East End, Grand Cayman, http://thekitehouse.com/cayman.htm. 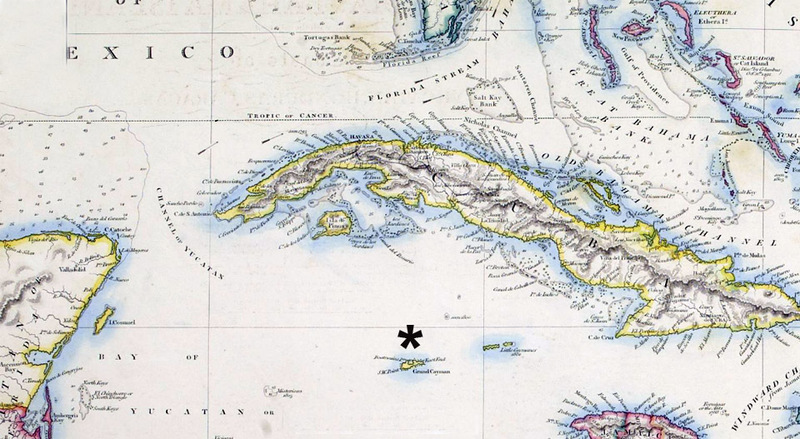 The Cayman Islands are a short flight south from Miami. I usually like to fly Cayman Airways due to the consistently favorable prices and luggage policies. 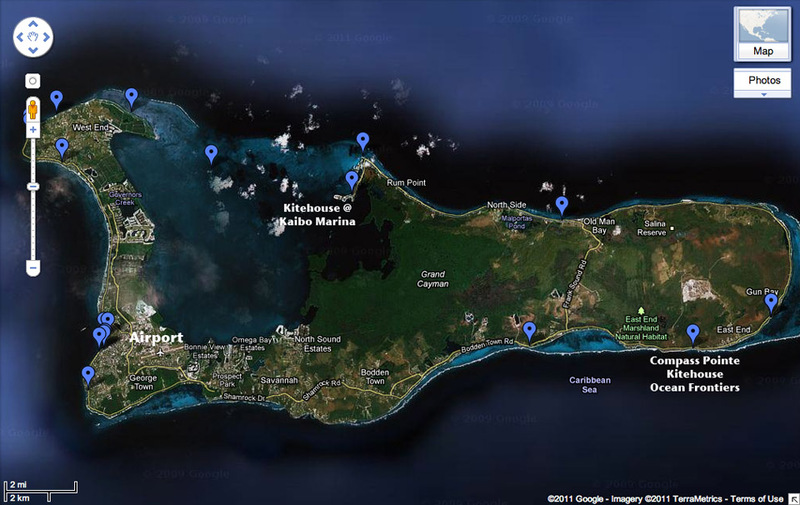 An interactive map of Grand Cayman with restaurants, sites to be seen, links, etc..
Compass Pointe Resort, http://www.compasspoint.ky/, the home of the Kitehouse in East End. 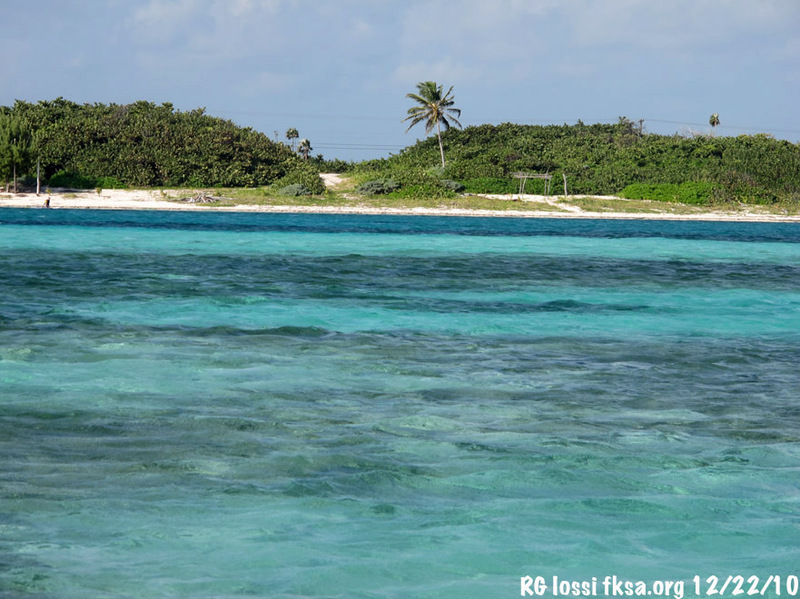 The Resort caters to divers and kiters with some nice rate packages. 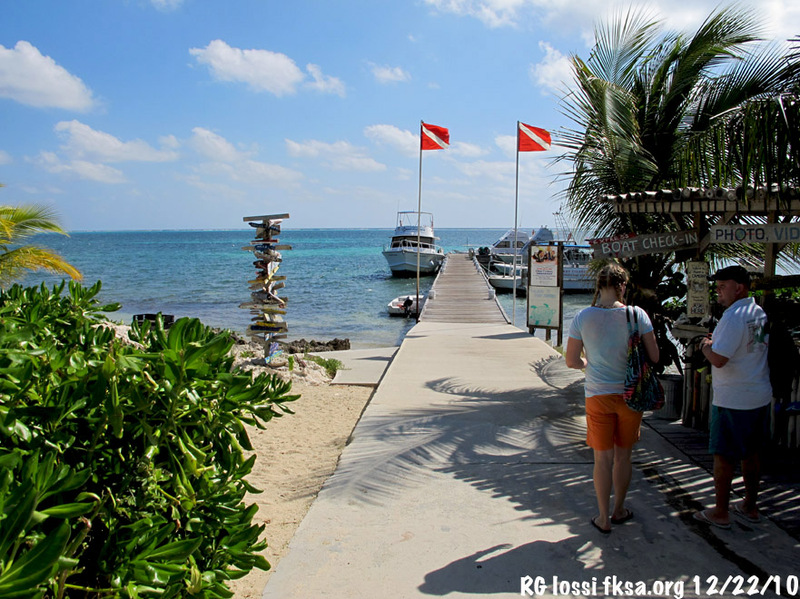 They run several dive boats out of the resort while the Kitehouse stages two boats setup with compressed air and other amenities for kiters. 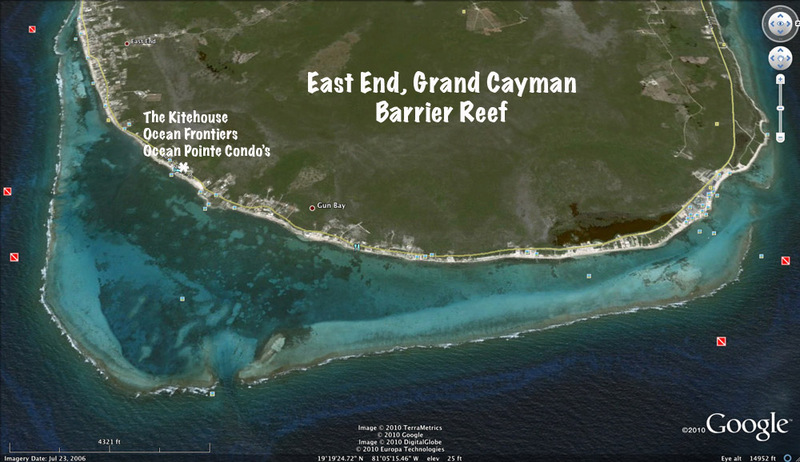 A look at East End and East Sound, Grand Cayman ringed by barrier reef containing sand bars with waves and deepwater just outside. 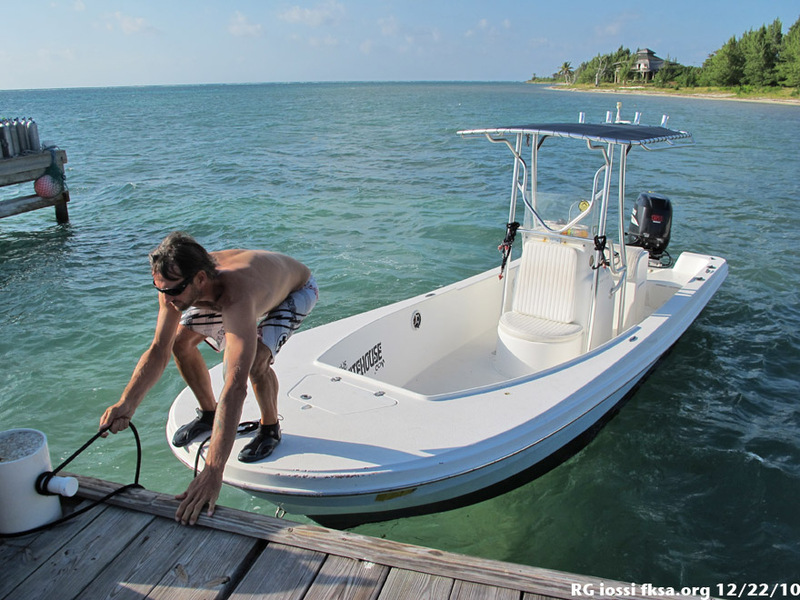 Michael Minichiello owner of the Kitehouse Grand Cayman pulls up with the boat to take us out to the sandbar inside the barrier reef. Mike is also an instructor examiner for PASA and periodically has instructor training courses on Cayman. 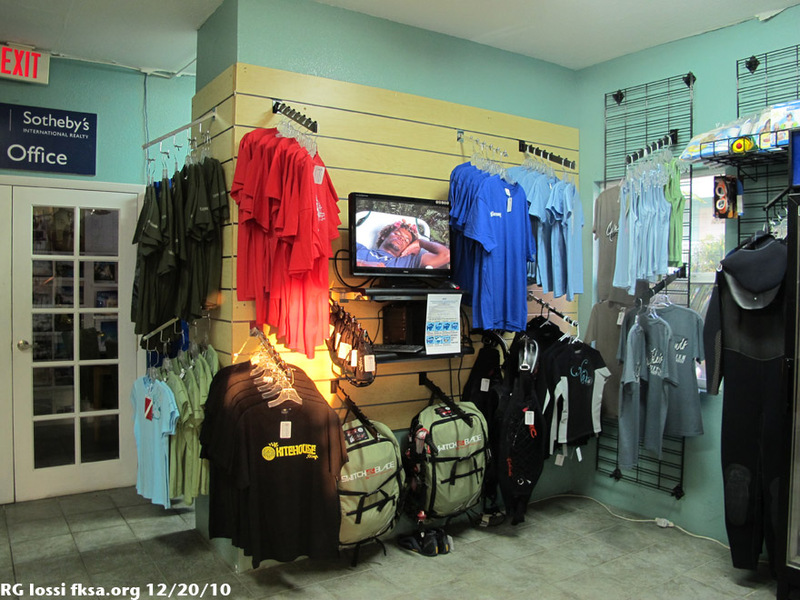 Part of the Kitehouse gear shop at Compass Pointe. This is the only kite shop anywhere on all three islands of the Caymans. 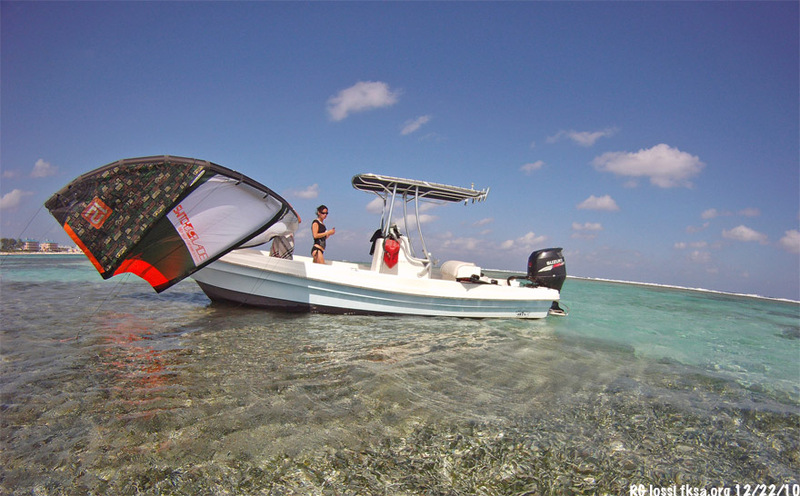 One of the Kitehouse support boats out on the sand bar inside the barrier reef. I believe this is the boat Mike delivered to Grand Cayman from Key West himself via Cuba. That trip was an adventure in itself! He shipped the other down as deck cargo on a freighter. 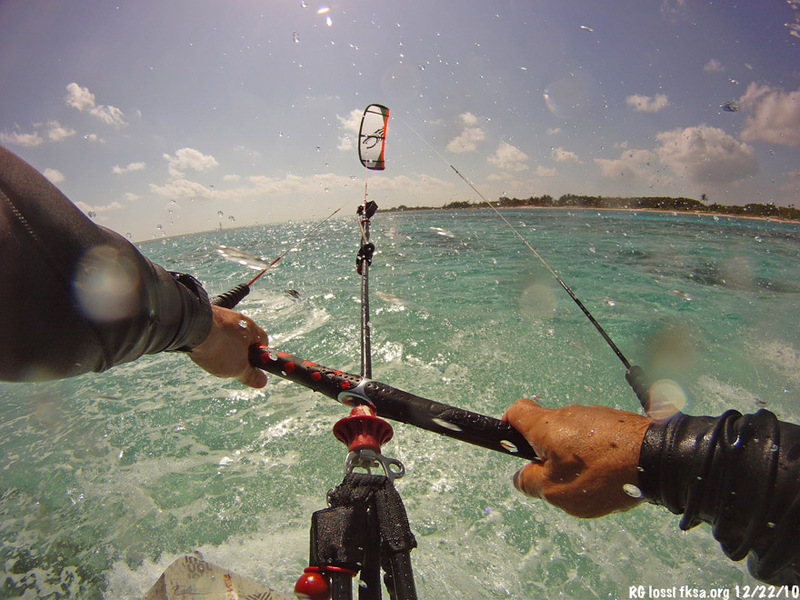 A look at one of the Kitehouse's riding sandbars.